A business-couple — Mr Upenyu Mashangwa and his wife Blessing – cannot recover tithes amounting to $1,1 million from United Family Church International (UFIC) leader Prophet Emmanuel Makandiwa as such contributions are ‘free will offerings’ which can only be recovered from God, a High Court Judge has said. 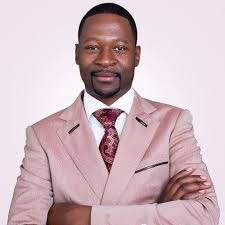 In a recent ruling in which he dismissed the Mashangwas $6,5 million lawsuit against Prophet Makandiwa and his wife Prophetess Ruth, High Court Judge Owen Tagu, said the claim to recover tithes and offerings was frivolous. The Mashangwa couple — former UFIC members between 2014 and 2016, claimed that were called on to the church stage during service by Prophet Makandiwa to parade them as an epitome of success. Consequently, they made varying church offerings and tithes amounting to $1,1 million which they later claimed back after quitting UFIC. Justice Tagu also trashed the Mashangwa’s claim that Prophet Makandiwa gave them a prophecy over a debt cancellation involving $500 000 which they owed to a local bank. The Mashangwa couple lost a Marlborough house as a result of the unpaid debt. The High Court judge in his ruling noted that the same house had been sold to Nemanji Family Trust for $800 000. Justice Tagu added that the business couple could not ignore their debt because they had borrowed the money in terms of positive law and not ecclesiastical law. Even in the Bible, he said, God told Adam that he would eat from his sweat. “This is loosely translated to mean that there is nothing for free and every man shall work hard to achieve what he wanted until death and that God would give them power and wisdom to achieve their goals and not just expect miracles to happen on their own. If Makandiwas talked season of miraculous cancellation of debts he did not literally mean those with debts should go home and just sit waiting for debts to be miraculously wiped without them doing something about them,” he said. Justice Tagu also dismissed a $2 million claim by the Mashangwas for being used to market UFIC when they were paraded on stage as successful businesspeople. He said the allegations by Mashangwa couple that they were told that Mr Tichaona Mawere was a great lawyer who could not lose a case were baseless because Prophet Makandiwa did not directly advised them to hire the lawyer. “The claim was contrived and perjured. In my view if indeed the applicants said Tichaona Mawere was a great lawyer, or words to that effect they did not specifically told the Mashangwas to hire him. They just misconstrued the prophecy or sermon to their own prejudice. It is equally frivolous and vexatious that no relief could be obtained from it,” ruled Justice Tagu. He chastised the Mashangwas for suing Prophet Makandiwa in their personal capacity over allegations against their company which sells perfumes. Justice Tagu did not entertain claims by the Mashangwa couple that they were tarnished on a Facebook page ‘Truth About Makandiwa’, saying the same social media outlet had no links to the prophet. “The sixth claim is on the pleadings so patently groundless that the respondents cannot ever hope to succeed in obtaining relief on hence should be summarily dismissed as being frivolous and vexatious,” said the High Court Judge.